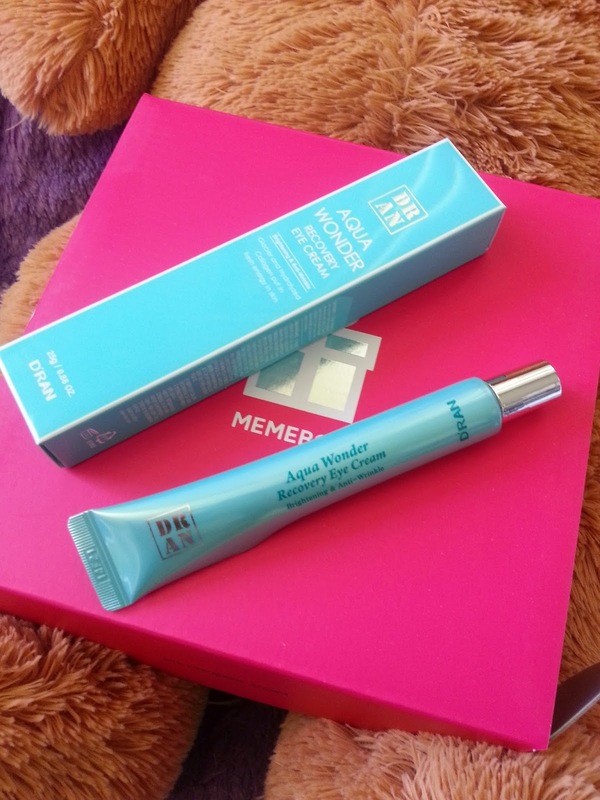 I'm a lover of Korean Beauty products and when I found Memebox, I was so excited. Memebox haven't disappointed me so far and I've got plenty more boxes coming soon so yay! This box is the Princess Edition #2 Sleeping Beauty box and I bought it with the Princess Edition #1 Snow White box. Together they cost $64.99 (including shipping). I don't have a favorite box out of the two because they both have items I'm super excited for and items I'm not excited for. There was one issue with an item in the box, however, I've already emailed Memebox and they've taken care of it. So +1 for awesome CS team! Yes, this is for your feet, they look like socks don't they? I secretly wanted the hand pack, but the foot pack is pretty awesome too. Since I've never used masks for my feet before, this should be interesting. This pack helps provide moisture and nutrients and it will peel away dead skin cells. Yeah the peel part seems kind of gross, maybe that's why I've yet to use any masks for the feet. It's enriched with shea butter and jojoba oil which will help with the rough and calloused heels. I think I will save this for the holidays time when I'll have more time to experiment with it. To apply, simply wear it on your feet and leave it on for 20 minutes. Oh, how I love sleeping masks. They are easy to use and are perfect for those lazy days when you don't want to wait for a sheet mask to set in. The product contains ingredients such as collagen peptide, hyaluronic acid, green tea extracts, medicinal mushrooms and more. It moisturize the skin and provide nutrients to it. It also acts as a protective layer and locks in the properties in your night time routine such as your serums. It can help tighten up the skin and brighten up your complexion. This product felt nice and cool when I tried it on my hand but when I applied it to my face it burned. Yes, it wasn't a pleasant feeling at all, at least not for the first 2 minutes. After 2 minutes, the product felt cool and pleasant. Not sure if that is suppose to happen, but if anyone knows please let me know! As of now I'm putting this product aside. To apply, simply take an appropriate amount and apply the mask evenly over the face and neck at the end of the skincare routine. Yes, it says neck cream. No, it is not a typo. I've never used a neck cream before. I've just either used my moisturizer or body lotion. So I am quite excited to try this. According to the description card, the skin on your neck is 2/3 thinner than the skin on your face. Thus, once fine lines and wrinkles moves in, it'll be harder to reverse it back. Wow, I did not know that. This product promises to help fight anti-aging on the neck and keep the neck firm and moisturized. To apply, take an appropriate amount and massage the neck with your hands in an upward direction until all the product has been absorbed. It can also be used on other parts of the body that might need anti-aging care. There are 2 aloe vera products in the box and this is one of them. 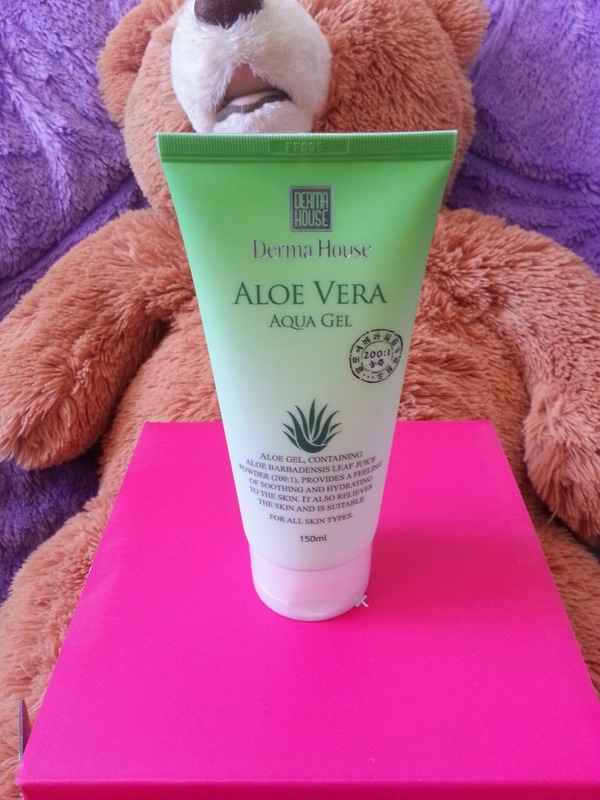 It contains 80% natural aloe vera extracts which makes it suitable for all skin types. Since aloe vera is a soothing product, it will greatly help sooth and moisturize the skin. It can also create a barrier to lock in all the mositure on the skin overnight. This is almost like a sleeping pack in a way, so I am very excited for it. Though I have quite a bit of sleep packs at the current moment, so It's got to wait in line. To apply, take a generous amount and apply it to the face or body as the last stage of your nighttime skin care routine. This was the item I had issues with. The packaging in the back was broken. I did not include a picture of the broken area here because I have already emailed Memebox and their wonderful CS team helped me sort it out. I was very happy with how they handled the issue and I want to thank them for it. Doesn't look like I'll be able to try out this product, however, I will still give you its description on the description card here. This product is an eye cream that's rich in collagen, glacier water, 7 different types of seaweed extracts and more; that helps to hydrate and brighten dark circles and the skin around the eyes. To apply, simply take a small amount and gently pat it onto the under eye area. This is the second aloe vera product in the box and it's also the smallest item in the box. 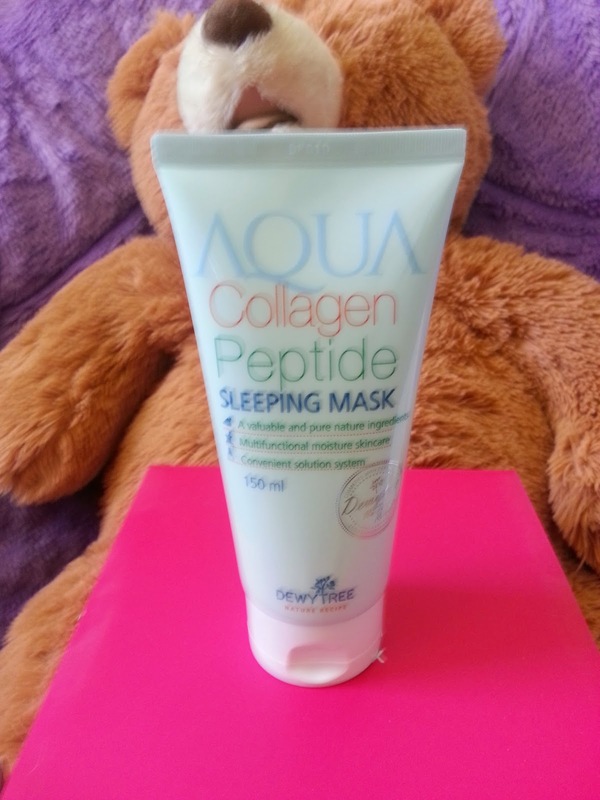 This product is to help smooth and hydrate damaged skin. 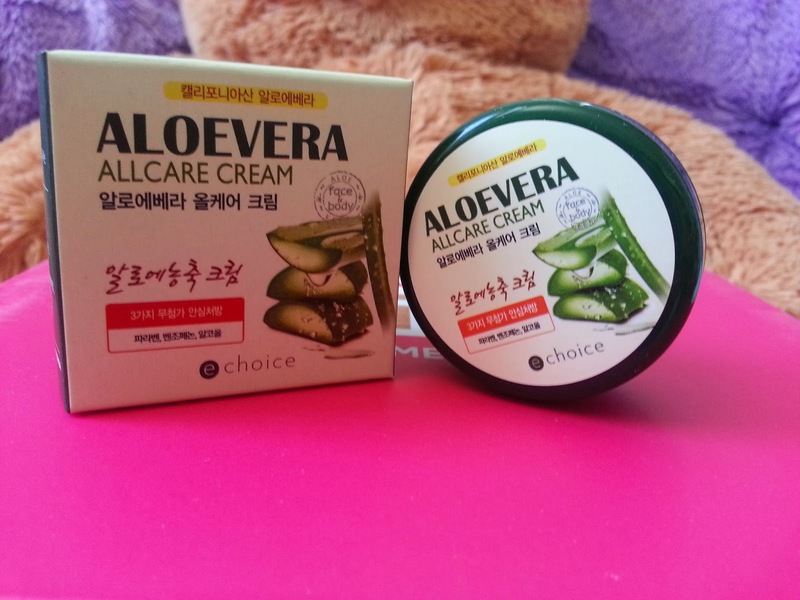 It contains ingredients such as aloe vera, bee's wax, vitamin E etc. It's suitable for both face and body. The product itself has a waxy feel to it, however, it does feel nice and moisturizing once you apply it. So far I've only tried it on my elbow and knees. To apply, take an appropriate amount and apply it over the dry, damaged areas. I like most of the items in the Princess Edition #2 Sleeping Beauty box. There's a good variety I can try from. Even though there was an issue, the awesome CS people helped me out with it. Their response was fast and I greatly appreciate it. I'm excited for all the new boxes coming out this month. Until next time and dream big! You can check out current boxes here on Memebox, plus sign up now and get $3 store credit. 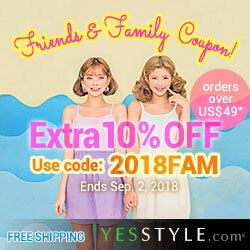 Visit this for coupon codes and deals! Special October Code TD2Y for $5 off any order. Disclosure: This product was purchased by DTC and all the opinions are honest and my own. BBDREAMSTOCREATIONS enter this code and get 8% off all orders! © 2014-2017, www.dreamstocreations.com, All Rights Reserved. Powered by Blogger.